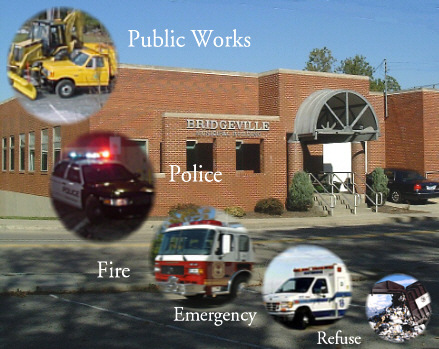 The following are part of Bridgeville’s Code of Ordinances and adopted to maintain a safe community for all residents. House numbers are required on all buildings in the Borough. The letters must be 3 inches high and readable from the street. Owners are responsible for maintaining their properties and grass and weeds are not permitted beyond six inches tall. Owners of dogs and cats must restrain their pets and not allow them to run loose. Property owners/residents with sidewalks in front of their property are responsible for keeping them clear of ice and snow and clearing them within 12 hours of a snowfall. Snow is not permitted to be shoveled from the sidewalk into the street. Repair and replacement of curbs and sidewalks are the responsibility of the property owners. The Borough prohibits the parking of any motor vehicle on any Borough street the day of scheduled street sweeping. Please be reminded, residents will be required to remove their vehicles for sweeping. Parking any vehicle of 19,500 pounds or more upon private property or upon any public area in a residential area is prohibited. Trailers, boats, motor homes and other recreational vehicles may not be stored in front yards. Cars not in running condition and/or without a valid inspection sticker or registration are not permitted on residential property for more than 30 days. 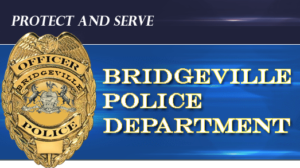 All residents of Bridgeville are required to be good neighbors and not allow activities on their property to generate excessive noise, accumulate trash or allow yards to be unkempt. Borough code requires regular maintenance of your property. No person is permitted to engage in any transit retail business without a Borough License.